DC Comics has really been stepping up this on the animation front in recent years, particularly with renders inspired by classic Batman graphic novels like DKR and Year One. 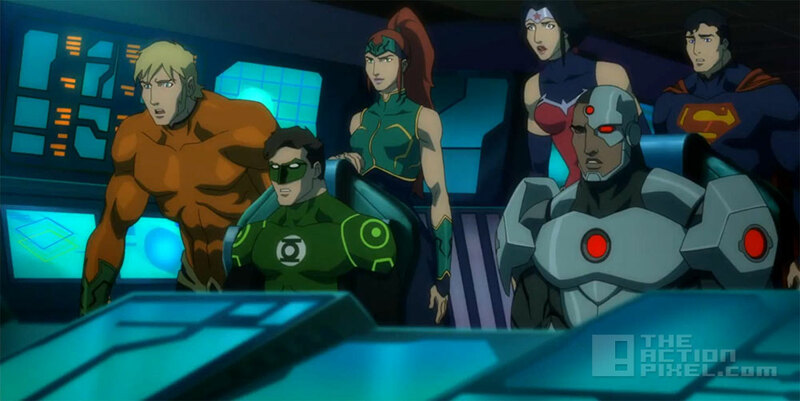 As such we showed delight and interest in the upcoming Justice League animation Throne of Atlantis. In Justice League: Throne Of Atlantis, Aquaman is all that stands between the wrath of Atlantis and the might of the surface dwellers and their protectors (JLA) in an all-out war. What’d we tell you. Huh!? The animation boasts an all-star voice actor cast: Matt Lanter (Aquaman), Sam Witwer (Orm), Jason O’Mara (Batman), Nathan Fillion (Green Lantern), Christopher Gorham (Flash), Rosario Dawson (Wonder Woman), Jerry O’Connell (Superman), Shemar Moore (Cyborg), Sean Astin (Shazam), Sumalee Montano (Mera), Harry Lennix (Manta), George Newbern (Steve Trevor) and Juliet Landau (Lois Lane) all star. We can’t wait to get our hands it. Justice League: Throne Of Atlantis is set for release on Blu-ray, DVD and Digital HD in early 2015.